Dale M. Hale, age 67, of Jacksonville, passed away Friday, February 8, 2019 in Tyler. He was born July 19, 1951 in Jacksonville. He was preceded in death by his parents, William and Emma (Mullins) Hale. Dale was a member of Cove Springs Community Church in Jacksonville. Left to cherish his memory is his wife of 45 years, Bonnie Hale of Jacksonville; daughter and son-in-law, Kristy and Matthew Abel of Humble, TX; sister, Martha Hale and friend, Bryan Horne of Jacksonville; and grandson, Toby Abel. 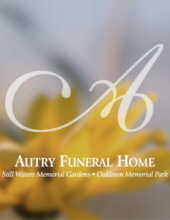 A funeral service is scheduled at 2 o’clock in the afternoon, Saturday, February 16, 2019 at Autry Funeral Home Chapel in Jacksonville. Visitation will begin at 1 p.m. Rev. Nathan McBride will officiate. "Email Address" would like to share the life celebration of Dale M. Hale. Click on the "link" to go to share a favorite memory or leave a condolence message for the family.